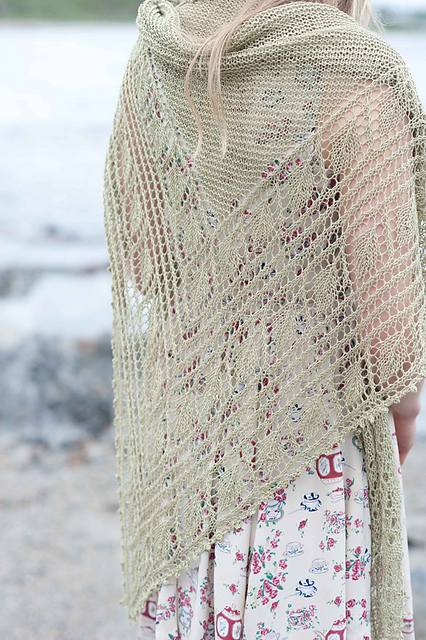 Leaves is my newest pattern, published last week by Quince & Co.
Leaves is a drapey, open shawl with a deep border. The piece begins at its pointy end with a lacy leaf border. After three sections of the border pattern are established, the edging diverges into the side borders and the garter stitch body fills in between them. 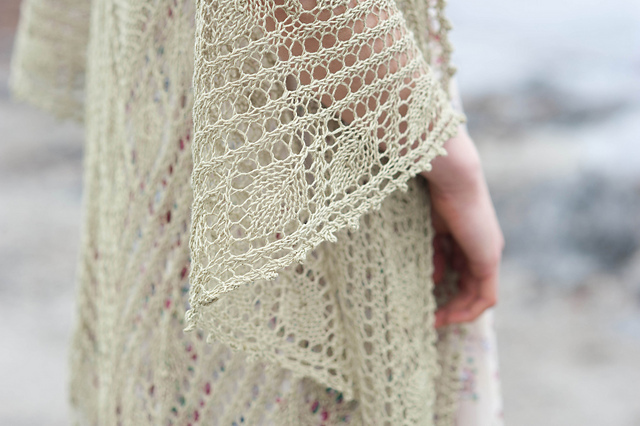 You can easily lengthen or shorten the shawl by working more or fewer repeats of the left and right edge charts. I so want to knit this! I fear linen, and not being able to spit-splice new yarn to the work. Perhaps you'll be extra wonderful and let your adoring fans in on the secret! This is a stunning shawl, Kristen. Kudos! Have you ever tried the Russian Join? It's my new favorite method of joining new yarn… love, love, love it!